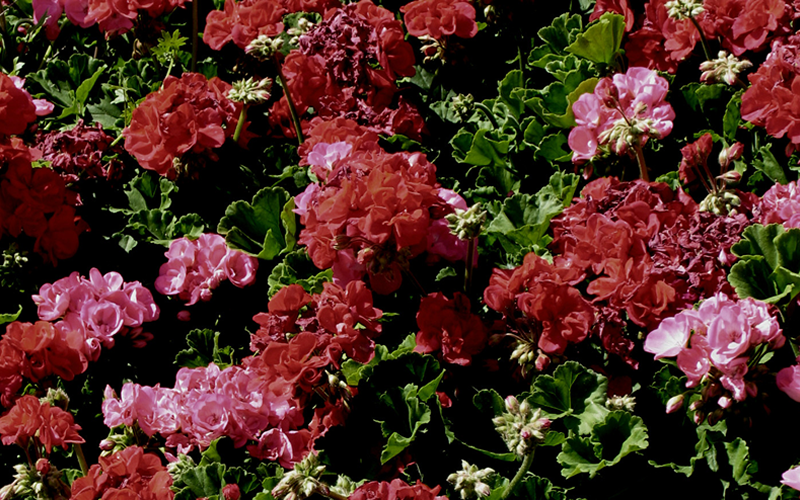 Every spring, Regina Farms offers a huge selection of annuals for getting your garden beds up and running. You’ll find all your favorites: flowering plants like petunias, begonias, impatiens, geraniums, salvias, marigolds, and pansies; must-have foliage plants like sweet potato vine, vinca, coleus, Dusty Miller, and spikes; plus many harder-to-find annuals like portulaca, nasturtium, and nicotiana. We also have a great supply of starter plants for your vegetable garden, and decorative and delicious herb plants like rosemary, basil, fennel, cilantro, dill, and several varieties of oregano. For do-it-yourselfers there’s a huge selection of flower and vegetable seeds, and for those who prefer instant floral gratification, we have a gorgeous variety of bountiful hanging baskets and patio pots. There’s so much to choose from, your only problem will be buying more plants than you have room for! There’s no doubt perennials are a great addition to any landscape because after the initial investment, the plant comes back every year. But if you are looking for bright colors that last the entire summer season, annuals are the best option. One of the great features about annuals is they have so many different uses. They can be used in container gardens, tucked into shrub beds, perennials, or even vegetables, or you can create a garden of just annuals. If you do purchase annuals for in-ground gardens, here are a few simple steps to keep them looking their best all season long. Most annuals are heavy feeders. Add some compost to your soil and feed the plants regularly. Most will be happy with a 10-10-10 or similar fertilizer. Petunias, and their relatives, require extra iron, so be sure to purchase a fertilizer with added iron for them. 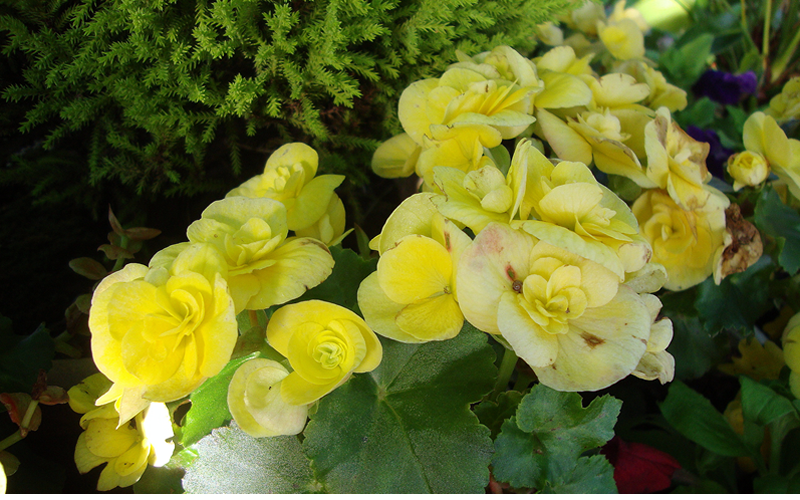 Otherwise, the plants get yellowed and do not produce as many flowers. Mulch the garden bed with grass clippings, wood chips, straw, pine needles or commercial mulch. The mulch will suppress weeds, conserve moisture, and help prevent some soil-borne diseases. Apply a layer 1-2 inches thick, but make sure the mulch does not touch the base of the plant, otherwise the plant may rot. Annuals are fairly thirsty plants. They require about 1 inch of water per week, either as rainfall or watering. When you do water, it is better to water them slowly and deeply occasionally rather than giving them a lot of water all at once. Deep watering encourages deep root systems that will survive dry weather better. And finally, deadhead the plants regularly. 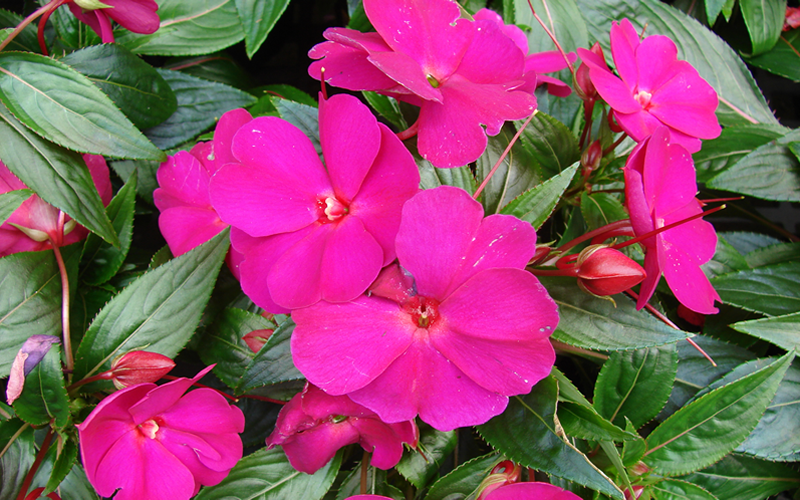 Nearly all annuals do best if their spent blooms are trimmed or pinched off every few days. This not only keeps the plant tidy-looking, it also encourages the plant to produce more flowers. One of the best aspects of annuals is it is never too late in the season to plant them. They will give you almost instant color, that if taken care of will last the remainder of the summer!